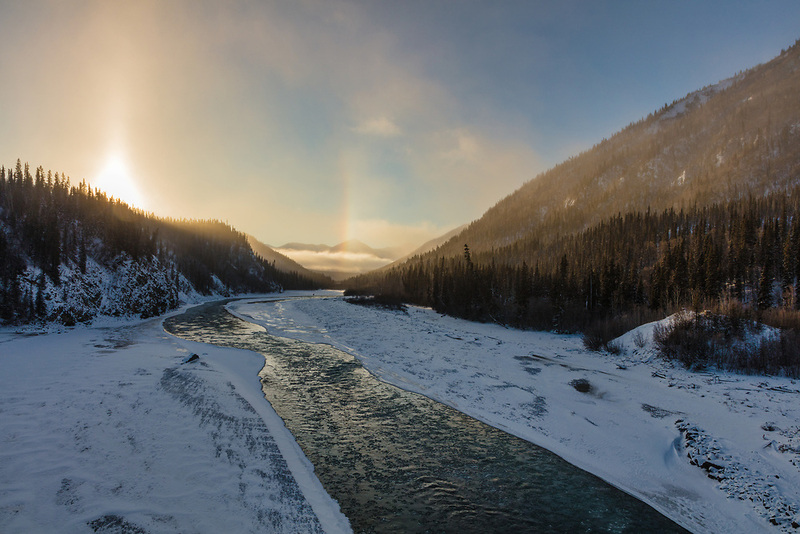 Icebow over the White River created by blowing snow in the Yukon Territory. Winter. Morning.